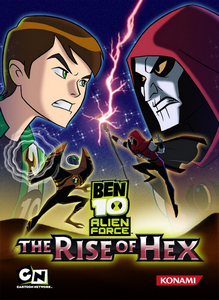 Ben 10 Alien Force: The Rise of Hex was delisted on both Nintendo Wii and Xbox 360. The downloadable version on Nintendo Wii was last confirmed available on July 9th, 2015. By the next capture in July of 2017 the game had been delisted but it was likely removed much earlier, possibly between 2010 and 2012 when D3 Publisher established itself as the Ben 10 license holder.